Nailer was born a scavenger and will most likely die one. In fact, he comes very near to drowning in a pitch-black oil reservoir in the belly of the beached tanker he is scavenging for copper when a “lucky strike” leads him to an escape hatch, spilling hundreds of gallons of “black gold” onto the beach. That evening a terrible storm hits the beach where the scavengers live, ripping apart tents and threatening to drown anyone in its path. The storm brings with it a new treasure, a high-tech, fast-sailing clipper ship with very precious cargo, a girl. Nailer must decide if he will stay true to his roots and give up the girl or see her safely returned to her tycoon father. Bacigalupi, P. (2010). Ship breaker. New York, NY: Little Brown. Everything involved with the actual reading experience of this book feels true to its content: the slick, book cover with copper glinting through a sheen of oil; Nailer’s rough and “survival of the fittest” exterior coupled with his true heroic nature; and the epic journey across the Gulf Coast Region that lay in waste following years of man-made abuse. Nailer’s addict father is absolutely terrifying; Bacigalupi succeeds in convincing me that he would easily gut his own son without a second thought or ounce of remorse. The final confrontation between Nailer and his father leaves the reader breathless and slightly heartbroken as he wrestles with the consequences of his actions. His conflicting emotions and motivations for rescuing “Lucky Girl” and the magnetism between the two reminds me of the remarkable relationship between Todd and Viola in Patrick Ness’ The Knife of Never Letting Go, another post-apocalyptic, science fiction coming of age epic. Ship Breaker however raises relevant questions regarding mankind’s insatiable thirst for resources, the impact on the planet, and the greater impact on the individual. Ship Breaker (unabr.) 8 CDs. 9:11 hrs. Brilliance Audio. 2010. 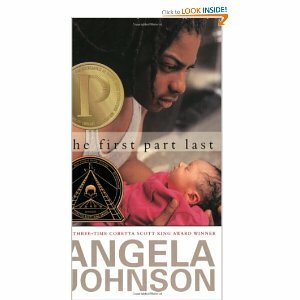 ISBN 978-1-4418-8347-6. $49.97. Gr 7 Up–Along a devastated U.S. Gulf Coast in a sci-fi future that includes half dog/half man creatures, teen boy Nailer must work as a ship breaker salvaging anything valuable on dangerous oil tanker wrecks.Other risks include an abusive, drug-crazed father, unemployment when he grows bigger, and flimsy shelter from ferocious storms. After one hurricane’s onslaught, he and friend Pima discover Nita Patel, a rich girl almost drowned in her futuristic clipper ship. When his father threatens the girl and wants to ransom her or accept money to turn her over to her father’s enemies, Nailer and Nita escape by hopping a train accompanied by Tool, an unusually independent dog/man. The three go to Orleans (no longer called New), a broken down relic of a city, and hope that a trustworthy captain from the Patel Company will show up.When Nailer’s dad kidnaps Nita, the boy faces a final showdown with his father to free her. Joshua Swanson narrates Paolo Bacigalupi’s fast-paced novel (Little, Brown, 2010), winner of the 2011 Michael L. Printz Award for excellence in literature written for young adults, with steady, dramatic intensity and enlivens characters with admirable vocal variety. The action and adventures are exciting, but occasionally quite bloody. Even more distressing are the harsh conditions faced by these youthful salvagers, much like contemporary third-world children. With an interesting mix of fact and fantasy, this title offers excellent potential for conversations on international child welfare issues. Wysocki, B. (2011). 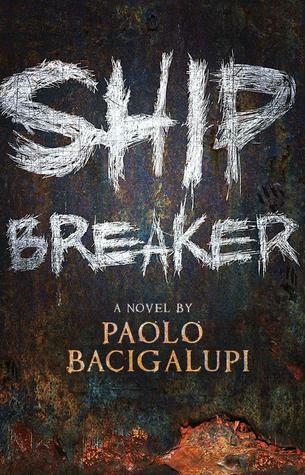 Ship Breaker [Review of the book Ship breaker]. School Library Journal, 57(3), 78-79. This title would make an excellent companion to other post-apocalyptic novels exploring questions of survival and individuality such as Lord of the Flies, The Eleventh Plague by Jeff Hersch, and After the Snow by S.D. Crockett. 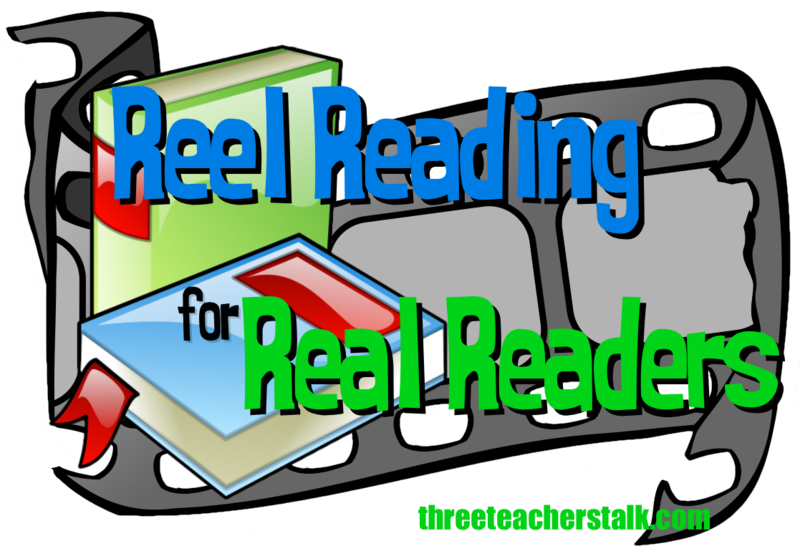 A book talk featuring these titles and others might help readers venture further into science fiction, dystopian, and futuristic novels.